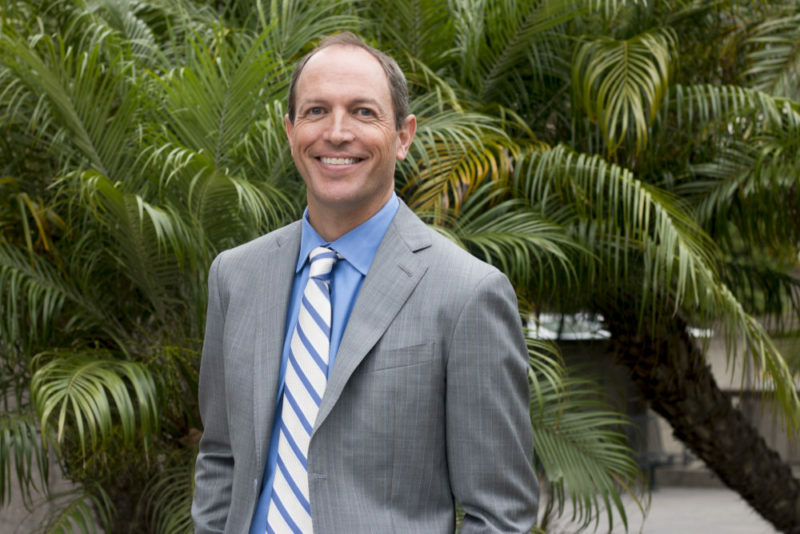 Brian Maienschein holds on to a slimming but steady lead, San Diego’s Dem power couple weighs in on charter schools, a beef between labor and a new city councilwoman and more. Late Friday, the latest count from the Registrar of Voters came out with Assemblyman Brian Maienschein clinging to a 757-vote lead. His rival, Sunday Gover, only narrowed the gap by 107 votes after the registrar processed 27,000 votes countywide. There are still 20,000 votes countywide. Maienschein’s team has to be pleased with this latest batch, but man, this got close. You can’t talk to a local Republican insider as the count continues without them mentioning how much money Maienschein left in his account. According to the secretary of state’s office, Maienschein had $1.3 million in his campaign account as of Oct. 20. If he does end up officially losing by just a few votes, this will seem like a … very poor decision. “If he loses he is going to regret not doing a lot more and a lot earlier,” said Barrett Tetlow, the vice chair of the Republican Party of San Diego. If he ends up winning, it kind of looks like a genius gamble. Like he spent exactly how much he needed to and not a dime more. The other side: We also heard a fair amount from local Democrats who were frustrated with Assemblywoman Lorena Gonzalez, who refused to endorse Gover and did not direct resources to Gover’s campaign. Gonzalez responded to that on the special podcast we did this week. “I think Sunday is a fine woman, a fine individual, who would make a great legislator, but the reality is this, I have a good friendship with Brian Maienschein. And when I needed somebody who will listen my argument and, and possibly cross the line and make a really tough vote, I knew I could go to Brian,” Gonzalez said. Future of SD GOP: More of the Same? 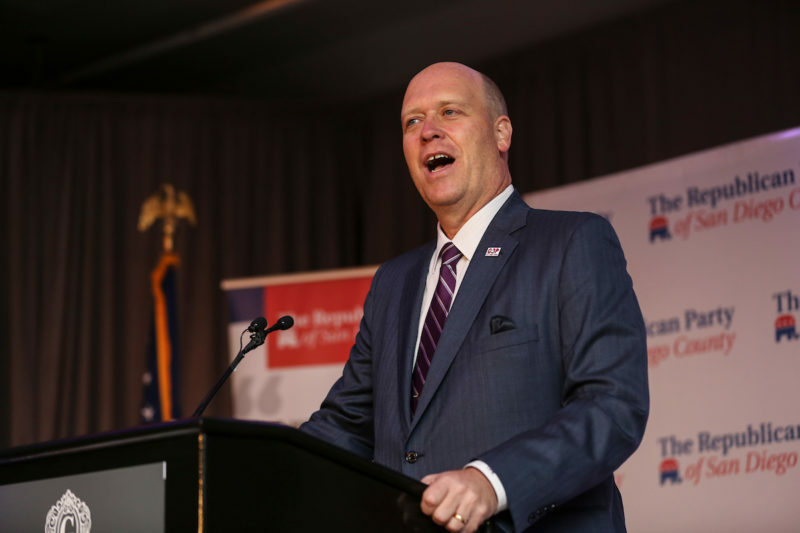 We took the opportunity to ask Tetlow, the Republican Party vice chairman, if he was, as rumored, going to run for chair of the Republican Party of San Diego County. Tony Krvaric, the longtime leader of the party, announced he was stepping down last summer and would be out by early next year. Tetlow told us something interesting: He wants Krvaric to reconsider. “My preference has always been that Tony Krvaric stay on as chairman. I don’t think people appreciate him as much as they should. I have been up and down the state and seen other parties — people don’t realize how professional this operation is comparatively. San Diego is hands down, bar none, far more experienced and professional. It allows the Republican Party and center right coalition to punch way above its weight,” he said. Tetlow also said he thinks the position of chair should be paid. 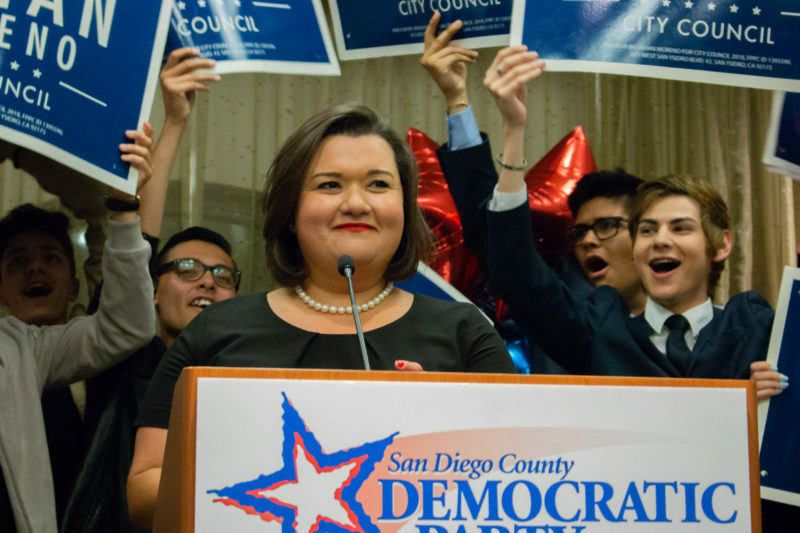 Democrat Vivian Moreno won the race to replace her boss as the City Council representative for District 8, despite opposition from the San Diego-Imperial Counties Labor Council, one of the most powerful groups in the local Democratic coalition. In the weeks since the race ended, though, she hasn’t been especially eager to bury the hatchet. In an interview, she said she hasn’t had any clear-the-air conversations with labor leaders following the tense race. In fact, she said she’s having a hard time forgetting one mailer against her, which criticized her for taking vacation days from her job as a Council staffer. Moreno said she can’t believe a union attacked her for using paid vacation days she earned – especially because she took most of those days off so she could canvass for other Democratic candidates. “I wasn’t on vacation, I was getting Democrats elected,” she said. 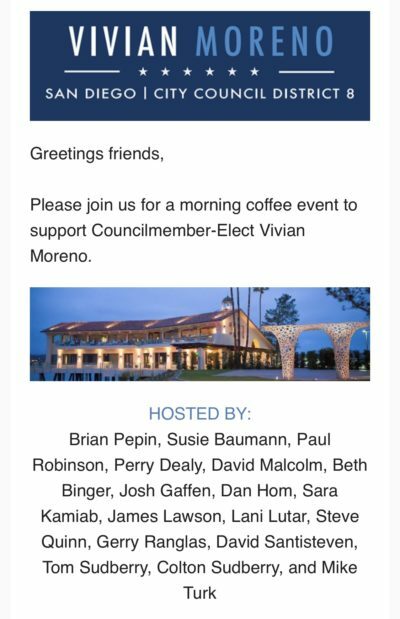 Moreno, though, hasn’t hesitated to lean into support from another group: the Lincoln Club of San Diego. That group spent $35,000 on her behalf during the election, through a third-party political action committee. And now, the president of the Lincoln Club and a handful of the group’s board members and other conservative political donors and right-of-center establishment figures are hosting a debt retirement fundraiser for her next Friday. That special podcast with Lorena Gonzalez and Nathan Fletcher is worth a listen, in our humble opinion. It’s definitely not boring. The couple arguably comprises the center of gravity in local Democratic politics at a time when Democrats are establishing an almost unchecked dominance in the region. That will make intra-Democratic politics fierce. And one issue where Dems may divide is education, school performance and charter schools. There’s a push to put a moratorium on new charter schools. Recently, Thrive Public Schools was denied its renewal by San Diego Unified School District as a new coalition gains momentum in its push to stop the growth of charters. Yet, between them, Fletcher and Gonzalez have three kids in charter schools. “My frustration with charter schools have been this idea that they have to be anti-union,s and they don’t. You have charter schools up and down the state that are functioning under union contracts. Like Nathan, we really believe in this kind of experimental learning because one size doesn’t fit all. I say that at the same time as I pass a bunch of bills and, and vote for a bunch of bills that are one size fits all. Um, and so it’s kind of this conflict because you want some basics covered, but you also want things to continue to change and, and different approaches used and, and different types of mean. If I explained to you my, my son’s last semester, last year, where he spent most of the time literally at the Colorado River and the Salton Sea and studying every aspect of water in ninth grade. I mean, you know, it was amazing. All right, that’s, it was the most amazing kind of production we’ve seen. They did a big a movie about it. I, I can link it to my Facebook and it’s really cool. But then, this year I’m struggling with … he, he missed a semester of structured math. Fletcher wants district elections: One of the most interesting issues locally is the question of how San Diego Unified School District elects its five trustees. It remains one of the last governments in the region that hasn’t switched to district elections. In San Diego Unified, the top two candidates from a subdistrict advance from a primary election to a runoff where they compete districtwide — that means they have to campaign across almost the entire city. Fletcher added his name to the list of people who think the candidates should only compete in their subdistricts. “I support district elections. I support the Voting Rights Act. I support the intent of it. So I can’t say that we should have district elections, but then say, ‘well that doesn’t make sense on the school board,'” he said. The Los Angeles Times this week shook the statewide Democratic establishment with its investigation into allegations of sexual misconduct against Eric Bauman, the state party’s leader. Bauman has agreed to step down. Before he did, San Diego Democratic Party chair Jessica Hayes and former local party chair Jess Durfee both called on him to resign. They did so in part because another local party official came forward with his own allegation against Bauman. Kelvin Barrios, a staffer for Councilwoman Georgette Gomez and a board member for the state party and vice chair for the county party’s southern area, detailed in a Facebook post a 2014 encounter he had with Bauman in front of other party figures in an Oakland hotel room following an executive board meeting. If you have a tip or feedback for the Politics Report, send an email to scott.lewis@voiceofsandiego.org or andrew.keatts@voiceofsandiego.org.